Loads of news this week! 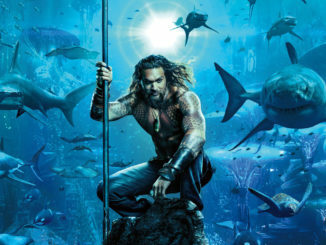 We learned that Disney might have been the one to cancel Luke Cage, Disney+ is spending gobs of money on original programming, Dune gets another cast member, whether Dwayne Johnson and Jason Statham will be in Fast & Furious 9, and some news for Star Trek on the big and small screen. Let’s start small with what happened to Luke Cage. 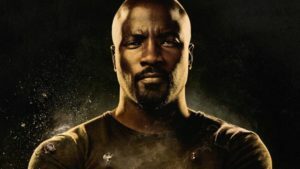 Did Disney Kill Luke Cage? I have no clue, because it’s one of those things that didn’t happen for any other reason than the powers that be deciding that it was something that they wanted to take back into another platform. While that may mean that Disney wants to bring Luke Cage under one roof, we don’t know whether the part will be recast or not. All we do know is that the contract between Marvel and Netflix means the house of mouse will have to wait two years before they can use the character. Personally, I’m hoping for a Heroes for Hire series. Speaking of the streaming service, it looks like they’ll be spending a lot on bringing Star Wars, Marvel, Pixar and more to Disney+. 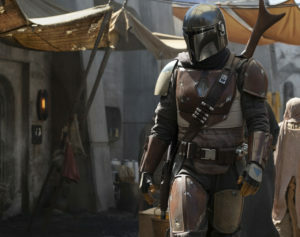 Variety is reporting that Disney is expected to spend $500 million on original programming which includes $100 million for the Star Wars television series The Mandalorian. We can probably guess that the Diego Luna led Rogue One spinoff and the three Marvel limited series of Loki, Scarlet Witch/Vision, and Falcon/Winter Soldier series will receive budgets in the same nine-figure range. 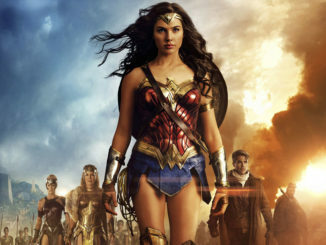 Variety also reports Disney is planning on making original films in the $20 million to $60 million range. Denis Villeneuve’s Dune is one of the films I’m desperately looking forward to. The casting has been phenomenal with Timothee Chalamet playing Paul Atreides and Rebecca Ferguson playing his mother the Lady Jessica. Variety is reporting that Villeneuve has perfected the casting of the Atreides family with Oscar Isaac as Paul’s father, Duke Leto Atreides. Dune is a story that is incredibly difficult to pull off, but everything so far has me convinced that they’ll make something magical. But who knows with Fast 10 down the road, you never know. Because, look, at the end of the day, the truth is there’s unfinished business between Hobbs and Dom [Vin Diesel]. It’s unfinished. 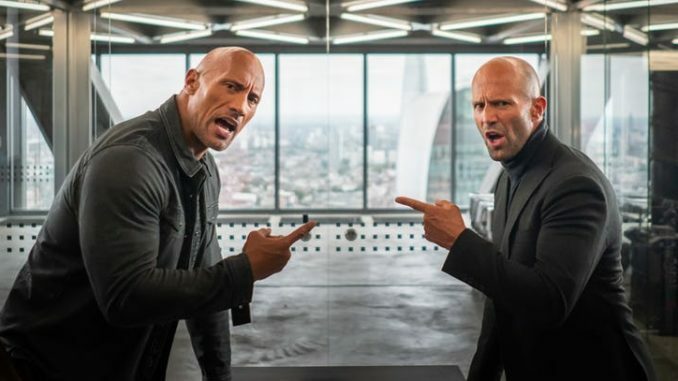 Honestly, thought, not having The Rock (as well as Statham) in Fast & Furious 10 would sound like a missed opportunity. I’m still waiting for them to retcon Han’s death from Tokyo Drift. 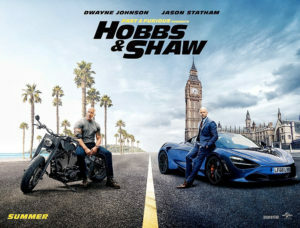 The trailer also dropped this morning and it looks like an epic and hilarious buddy film, which we all knew it would be. And Idris Elba as the bad guy, only turns things up to 11. Hell, 12. 13. More! Suddenly people’s eyes light up. Yours just did. Mine too. I haven’t been the biggest fan of what J.J. Abrams has done with Star Trek so having Tarantino reboot the original series for the big screen sounds amazing. 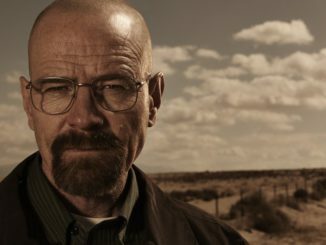 Who knows what he would do on the big screen with that 60’s aesthetic– I don’t but I really want to find out! Things are starting to shape up for the Sir Patrick Stewart led Star Trek series which sounds exciting. What we know is that it will tie into the events mentioned in 2009’s Star Trek film with the Romulan Empire collapsing. 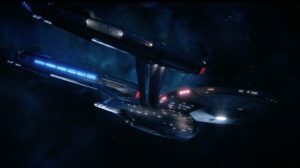 While details have been light, Jonathan Frakes (who recently directed an episode of Star Trek: Discovery) revealed what he knew about it in an interview with Deadline and whether he or any other cast member of The Next Generation will be a part of it. The feeling is we would love to be part of it. But the feeling is also that it’s Patrick’s show. [Laughs.] Having said that, I can’t imagine a world where there’s no reference to what happened to the rest of the Next Generation cast. Patrick isn’t playing Capt. 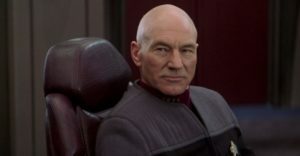 Jean-Luc Picard this time, he’s done with Starfleet in this show. That’s about the only thing I do know about the show. Patrick and I had a steak dinner a couple of weeks ago and this man, who I’ve known for 31 years now, is so excited about this show he’s like a little kid. It’s fabulous! He’s thrilled and excited to be invited into the writer’s room, and he’s a producer on the show, and he’s part of the development of the story arc. It’s terrific. I mean he is a guy who is fully engaged. If there is one Next Generation actor who would dovetail in nicely it’s actually Denise Crosby. The actress played a half Romulan/half human named Sela born from an alternate reality version of her character Tasha Yar. I doubt that will happen, but story-wise it would make the most sense. The thing about all this news is that I have to wonder what I did right for the universe to shower me with a plethora of (mostly) amazing news. Tarantino possibly doing Star Trek? Not one but two Star Wars live-action television series? 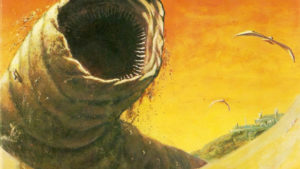 Denis Villeneuve directing Dune? I’m drowning in geeky goodness here.